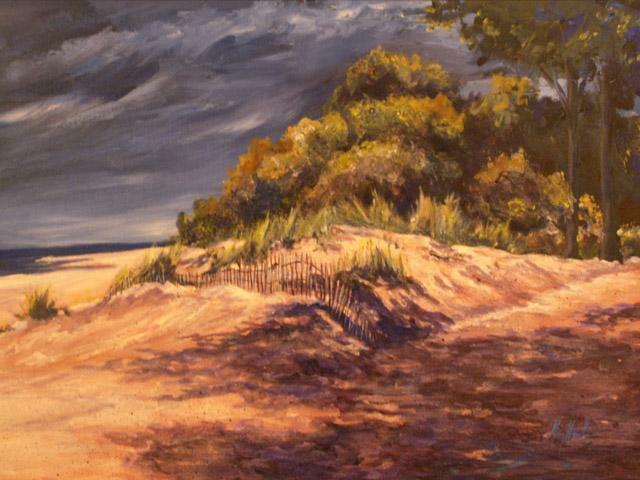 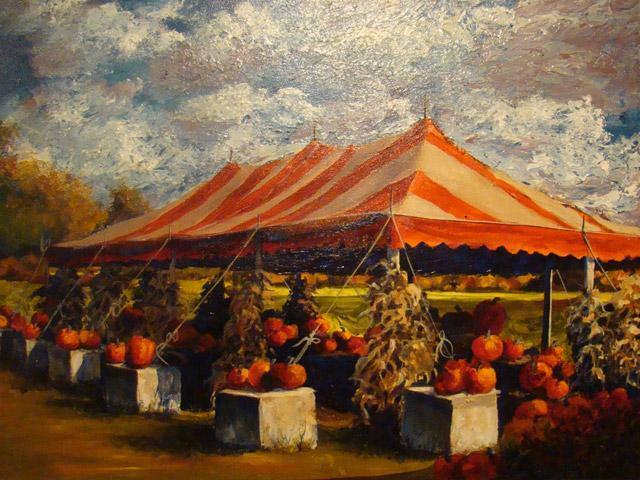 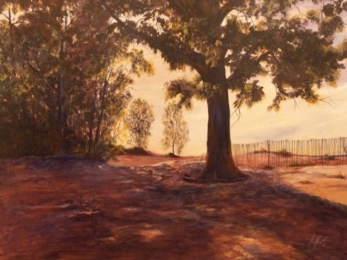 Mary creates rich paintings on paper or canvas using acrylics, oils or watercolors. 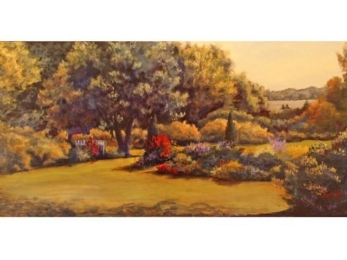 In addition to her finely finished originals, limited edition giclee prints of her most popular works are also available. 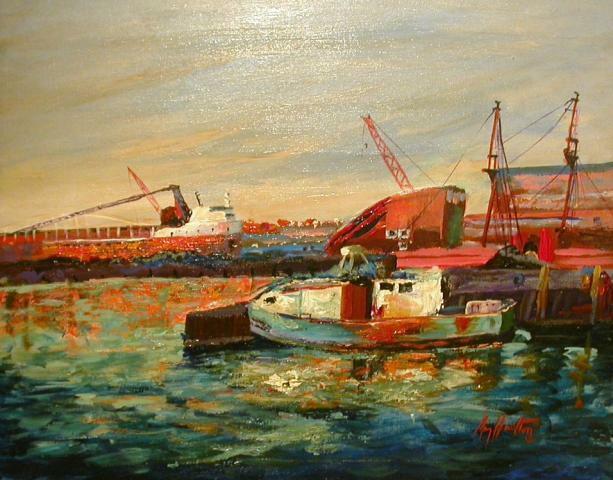 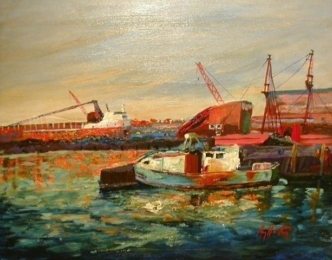 Old Friend (Erie Bayfront), Oil, 20x16"
A Grand Day at Presque Isle, Acrylic, 36x48"